Inspiration and support can be found in unlikely places. This banana was waiting for me at the Hampton Inn in Clarion, Pennsylvania. It put a smile on my face and I did have a pretty darn good day. This spring, I worked with 2 art teachers to implement a problem-based learning unit (PBL) with 4th and 5th grade students. 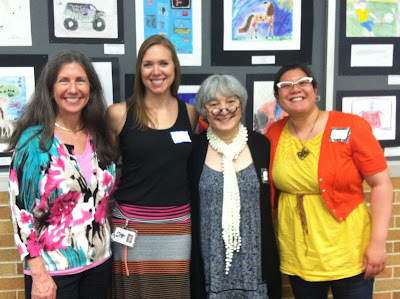 That’s what I do – coach teachers through the PBL process. It’s a great job and a frustrating job. I imagine that phrase can describe any job in public education right now. 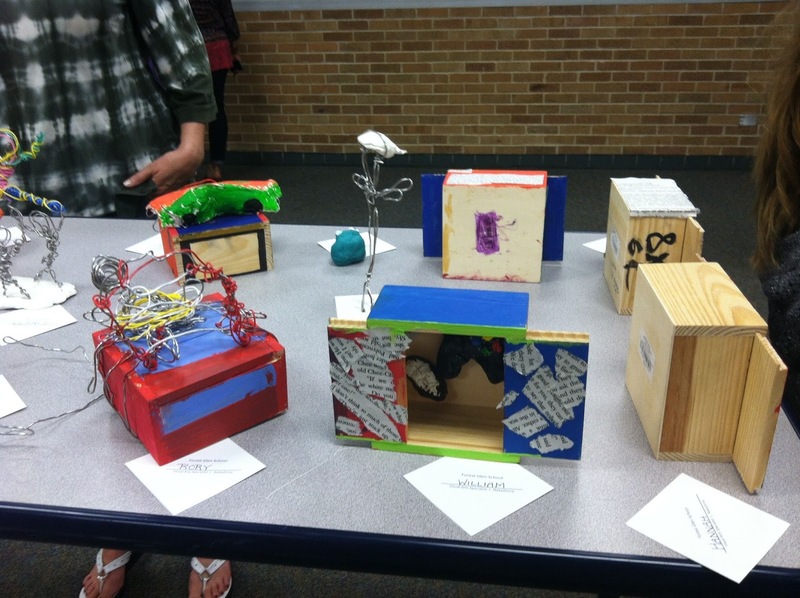 For this PBL unit, the art teachers worked with students to deconstruct the creative process. 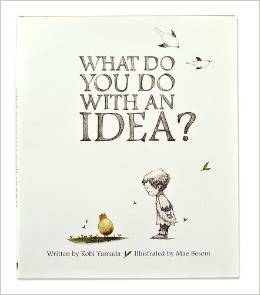 They started by reading and discussing the book What Do You Do With An Idea by Kobi Yamada. Each student was asked to create a piece of art that represented him or her. They began by creating a mindmap. They selected one node of the mindmap on which to focus their work. 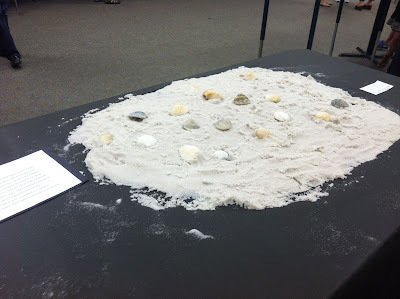 Using any type of material available, each student developed a piece of art. Halfway through the process, adult art experts were brought in to give students feedback on the art and the process. The focus of the lesson was the process of taking an original idea all the way to a completed work of art. 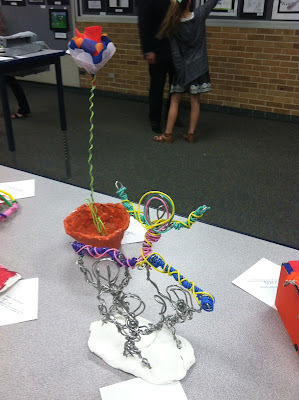 That’s one of the things that made this art unit different from the way the teachers usually taught art. Another difference was that the students could create anything they wanted. They were not being directed to explore shading by drawing circles on paper or to create an animal sculpture using plaster of paris. They were given freedom to express themselves in any manner through any medium. At the end of the unit the students wrote artist statements and had an art show. 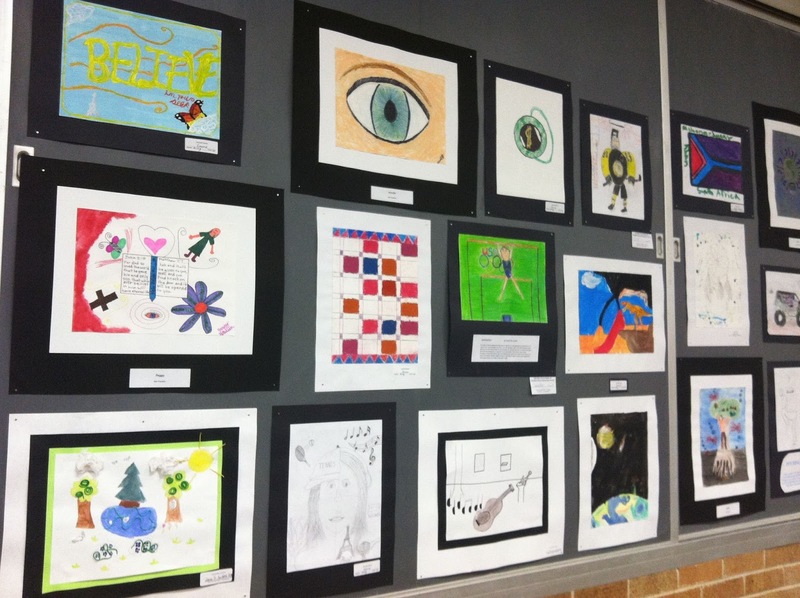 Here are examples of their work. The flower in the photo above was one of my favorite pieces because I had a chance to talk to the young artist. Her flower represents her love of playing the piano. It blooms just like she blooms when she plays. The colors of the flower petals represent the colors of her piano books as she has progressed through the levels. This piece is so much more than a flower. I was so proud of the students. The art teachers also learned something - the benefit of occasionally adding student choice to their lessons.